Pin It Weddings have so many elements! Have you considered what will go on the guest book table? As wedding planners, we work through each of the elements with you, and we had the pleasure of working on this specific wedding with STEMS Floral Design. For this fun guest book table arrangement, each letter is comprised with over 60 yellow button flowers... over 240 blooms in total. 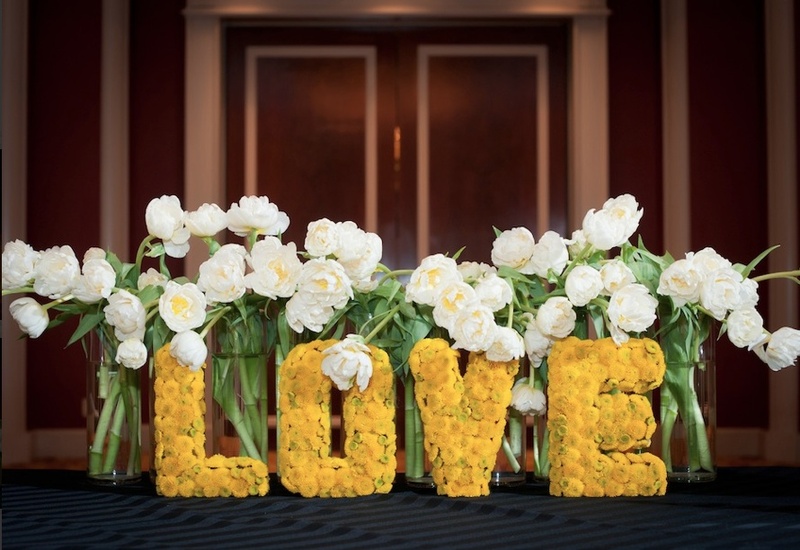 Each bloom is hand-glued onto the craft letter and took four designers about 45 minutes each to make—for a total of three hours. Niki Giangiulio LeMond had the closest guess on Facebook with$480! She won a $50 arrangement from Stems Floral Design. LIKE them!